Pumped Up Kicks and One Step Back to the TENS. Physio by yourself is not very fun. 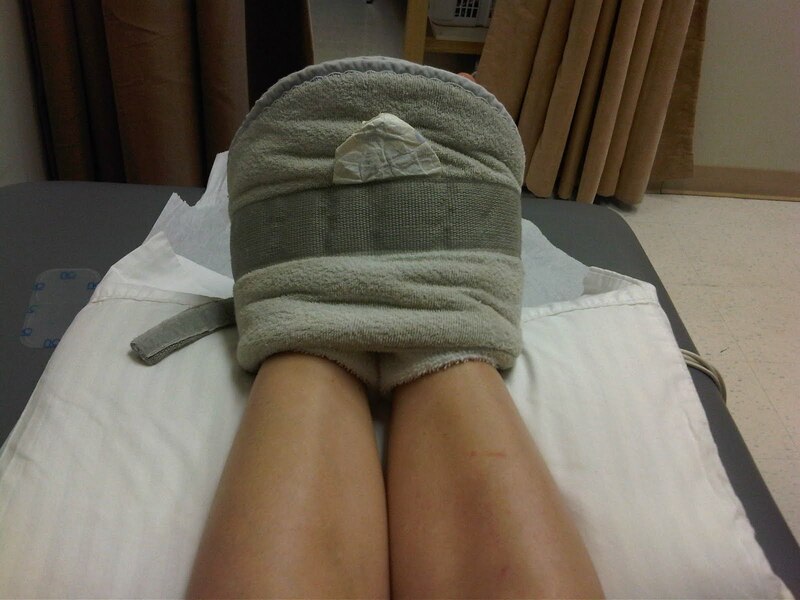 For one, my feet are bonded together by a heat pack with a TENS machine attached to my feet. And- I don’t like when they close the curtains and leave you feeling like you are in an isolation room. So, I told the doc to leave it open with the hopes that someone would stop and talk to me as they pass by. No luck. So, I caught up on blogs and twitter updates instead on my trusty BB. That made the time fly. On Friday morning I was feeling great. And I was convinced I was ready to run. After a day at the office, I decided that running when I got home wouldn’t be the smartest choice so I would wait until the morning to go out for my first outdoor run in over a month. So, I went for ice cream to stock up on some calories for a big 2K run the next day. I know, it’s a far one! Can we also talk about my hand placing in that picture? Looks kinda awkward. 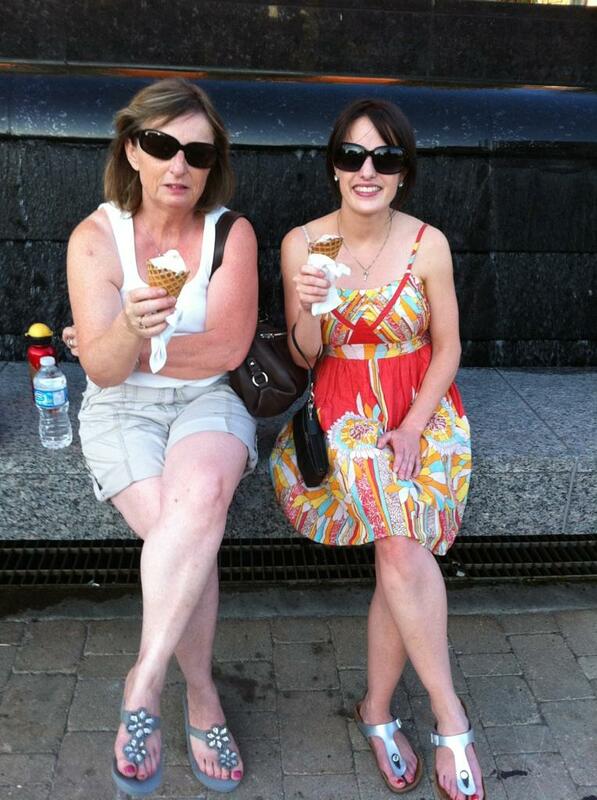 I thought it looked natural because I was hiding my one of five stains that I got on my dress from my ice cream. Apparently I need to wear a lobster bib but one that is designed for ALL the time. I had no pains and was feeling great. I wanted to run farther SO badly. 2K is seriously a tease. When I hit 2K I walked it out for 30 seconds to make sure I wasn’t aggravating my feet and then ran the last K home. I decided to take a 5 minute walk at the end just to calm down my feet and have a good stretch afterwards. The best part is my doctor said that I am very flexible and the average persons foot points to 10 degrees and mine goes to 60 degrees. So, that’s not a problem. I just need to work on strengthening my joints to prevent any future injuries. Any of your favourite strengthening exercises would be appreciated! On Saturday night I could feel my feet starting to throb but the pain was nothing like it use to be. Too bad I woke up on Sunday to pain all along the top of my feet. The problem with my injury is that I have sprained a bunch of different tendons so I can’t just focus on one area of my feet to heal. So, I iced my feet and headed to the pool side with hopes that this pain will disappear soon.